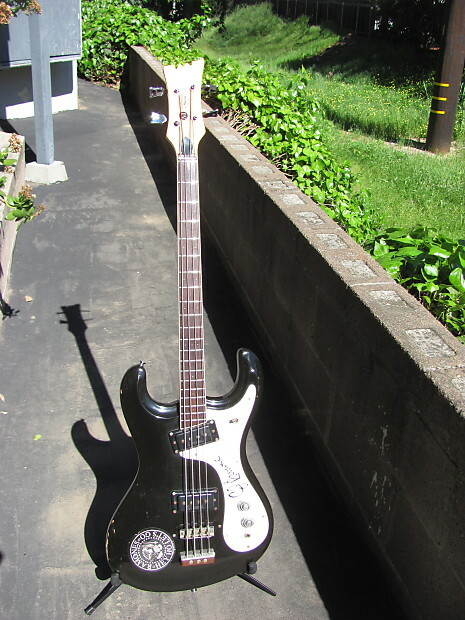 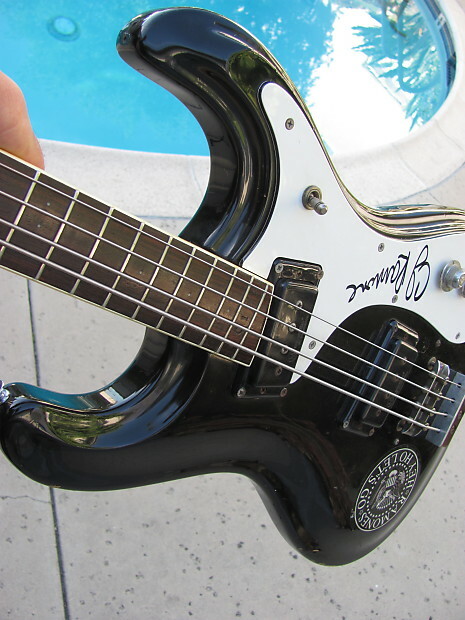 Vintage semie Moseley Mosrite Ventures style bass for your consideration 1971. 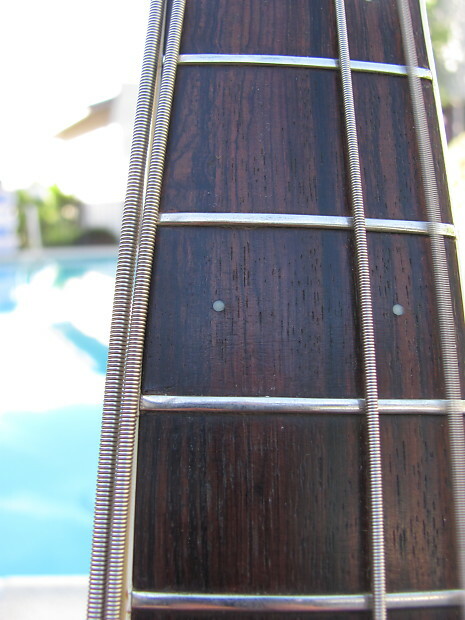 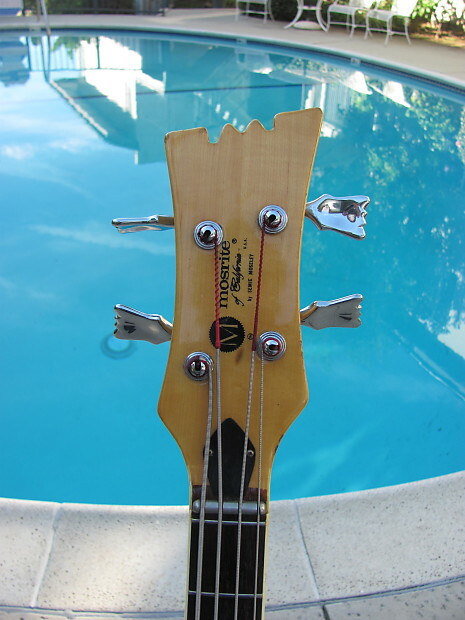 The bass plays flawless up and down the neck super fast and straight, truss rod turns nice and easy smoke free in the studio i never toured with it has lots of play wear some dings nicks and lots of patina. 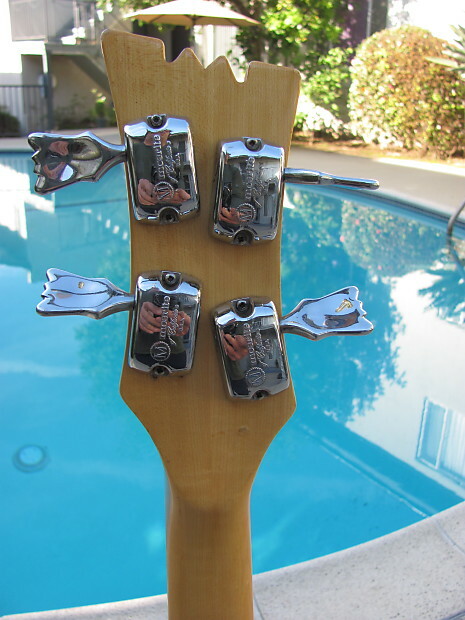 one of the duck foot tuners was changed out at one time in its life. 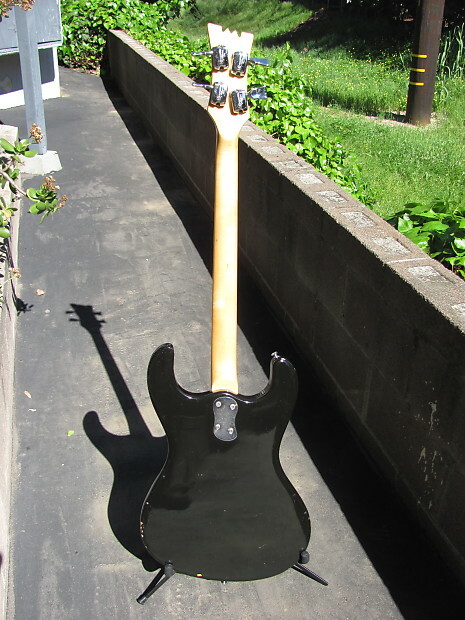 The pickups growl bite and bark lots of top end on the treble if needed single coil pickups sound awsome. 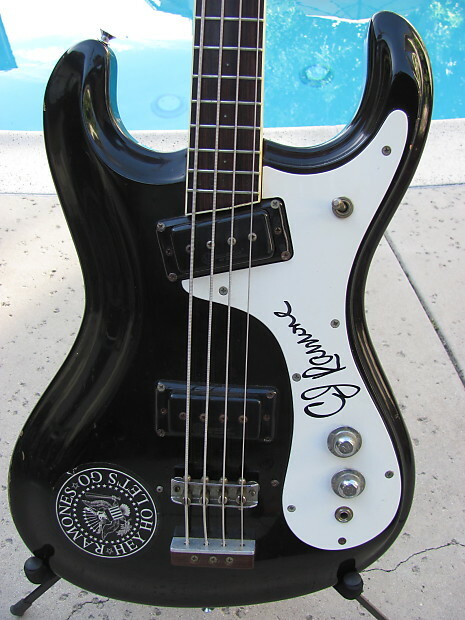 CJ Ramone signed the Bass i play in a ramones cover band if you don't like CJ Or the Ramones for that matter i could remove. 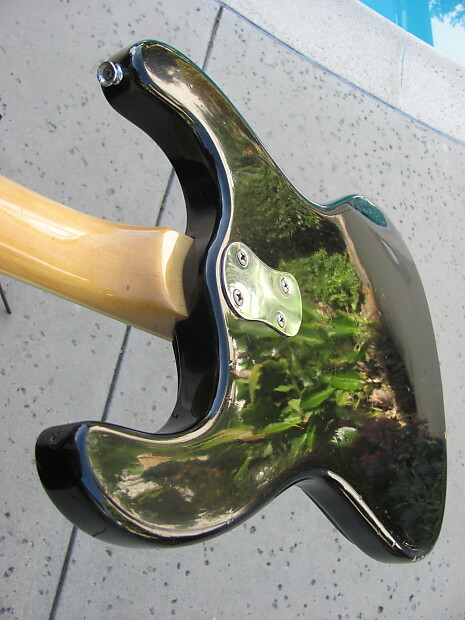 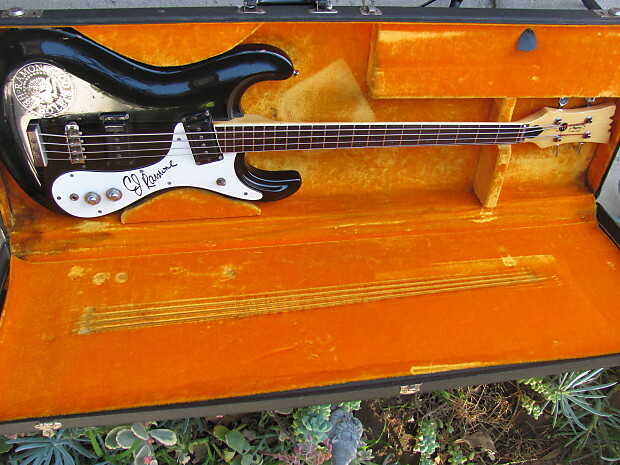 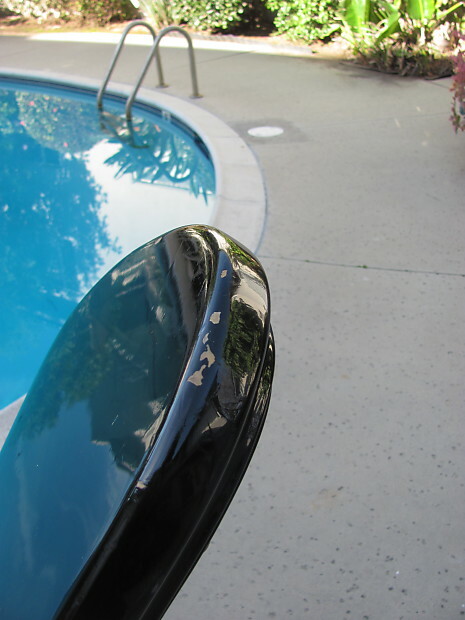 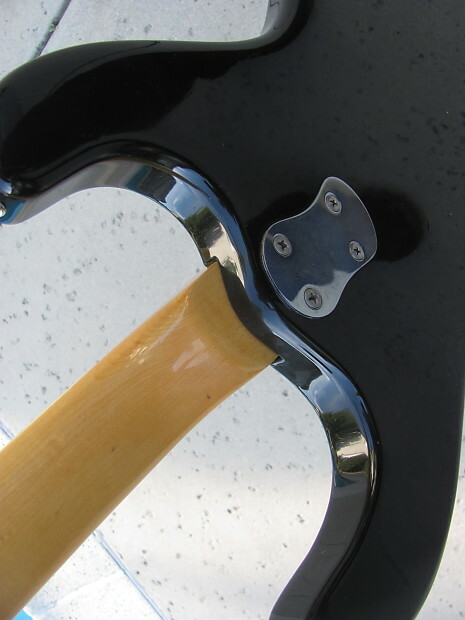 Your vintage Mosrite Bass will be shipped in its original hard case the case has lots of wear with all latches working. 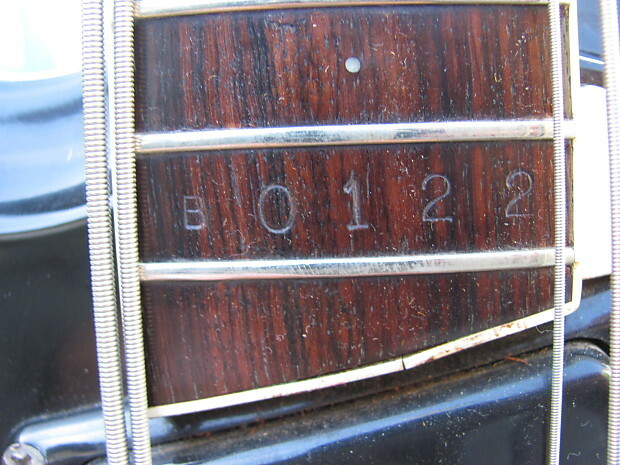 I take pride in shipping vintage products and its protection is my main goal. 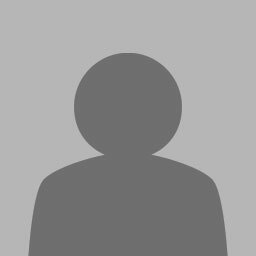 Please check my feedback any and all questions answered immediately.